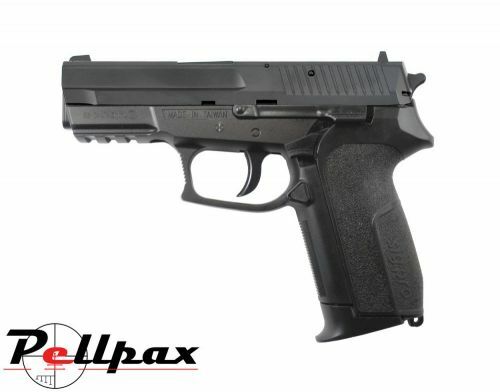 The KWC 2022 is a non blowback, fixed metal slide Co2 pistol, which fires .177 (4.5mm) steel BBs. As the pistol is non blowback you get more shots from a Co2 capsule, and better accuracy as there is no heavy recoil to affect your aim. The pistol has a drop out magazine just like the real thing, and the magazine has a capacity of 21 shots for a fantastic shooting experience.